By the time Matenrou Opera signed to King Records subsidiary Bellwood, they had dropped almost all of their metalcore influences and most of their J-rock leanings, becoming pretty much a full-on symphonic power metal band. A style the band obviously feels very comfortable with, as evidenced by their ‘Avalon’ album. Fans of the band’s early work may complain about the relatively limited number of stylistic detours, but the truth is that Matenrou Opera specializes in what they are best at anyway on the album: highly melodic power metal songs which are uncomplicated and kind of progressive at the same time. One of the most notable symphonic elements in Matenrou Opera’s music is the string sound of keyboard player Ayame. On ‘Avalon’, we can hear a real choir and synthesized string sounds, whereas most bands would select the opposite. That threw me off initially, but ultimately, it contributes to Matenrou Opera’s fairly unique sound. The chorus of power ballad ‘3Jikan’ may not have sounded quite as dark and powerful with actual strings. Furthermore, the synthesized horns lend a nice, triumphant atmosphere to ‘Kagayaki Wa Senkou No You Ni’, of which the chord progression in the chorus is somewhat reminiscent of Loudness’ ‘Soldier Of Fortune’. Sonics aside, ‘Avalon’ is a compositional triumph. Opening track ‘Tengoku no Tobira’ may be the best song the band as ever released. The way it builds from the subdued aggression of the intro towards the hopeful melancholy of its chorus is nothing short of amazing. It is hardly the only highlight on ‘Avalon’ though. ‘Jolly Roger Ni Sukazuki Wo’ contains some of the most intense riffing and busiest rhythms in the band’s oeuvre, ‘Tomo Ni Sasagu Requiem’ is an exercise in dynamics, ‘Tonari Ni Suwaru Taiyou’ is breezy, yet defiant and closer ‘Tengoko No Aru Basho’ is the perfect climax in both atmosphere and instrumentation. As far as personal performances go, I have always had a weak spot for guitarist Anzi. He is influenced by the same neoclassical school of guitar playing that many Japanese guitarists seem to take their inspiration from, but his tone is cleaner and his approach is more song-oriented. Even the neoclassical instrumental he penned, ‘Stained Glass’, is not a hyperspeed shredfest, but a melodically strong composition. Sono’s ubiquitous vibrato is a matter of taste, but it is a fact that he has more character than most Japanese singers. The drum work of Yu definitely deserves a mention too. His fills can be busy, but he never lets the music collapse. Those assuming that Matenrou Opera is still just another J-rock band should certainly give the band another chance. 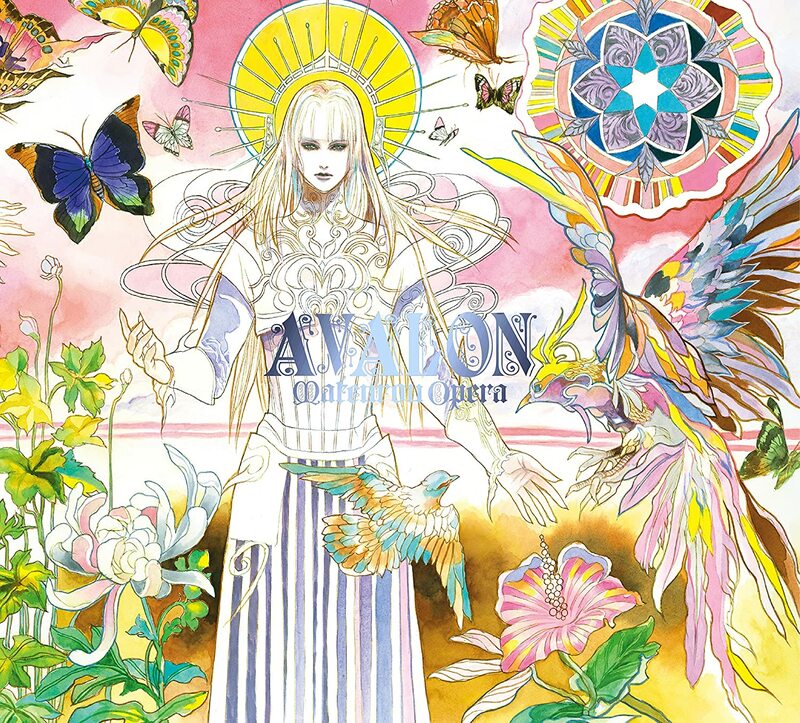 There are a few traces of that in ‘Orb’, but as a whole, ‘Avalon’ is a very well-written and expertly performed power metal record which is typically Japanese in its catchy, symphonic nature, but exuberant and aggressive enough to please fans of European power metal. It is also the most consistent set of songs the quintet has released thus far, giving them the confidence to establish themselves as a power metal band for good. While the orchestral death metal of Septicflesh should have a decent amount of appeal to me, their albums always felt just short of interesting to me. Admittedly, 2011’s ‘The Great Mass’ came close, but this year’s ‘Codex Omega’ was the first Septicflesh album I pretty much enjoy start to finish. In essence, the elements that defined their last few albums are the same as those defining ‘Codex Omega’, but something has changed for the better. It is sort of hard to put my finger on what that is exactly, but let’s make this review an analysis of the album’s immense qualities. First off, let’s focus on what has changed since the somewhat lackluster predecessor ‘Titan’. Most obviously, Septicflesh changed drummers. Former Decapitated drummer Kerim ‘Krimh’ Lechner is now on the stool and the band certainly profits from his approach to extreme metal drumming. His style seems to be a little looser and somewhat less predictable than that of most of his peers. Though I don’t know big his role in the songwriting process was, the unconventional placement of his accents must have influenced the dynamics of segments like the intro of ‘3rd Testament (Codex Omega)’ and the chorus of ‘The Faceless Queen’. In addition, Septicflesh worked with in-demand producer Jens Bogren for the first time, who did an incredible job. Mixing a Septicflesh album cannot be an easy task: there are bottom-heavy riffs that give the music its balls, but there are also huge orchestral parts that define Septicflesh’ music. He managed to find a perfect balance between these two seemingly contrasting elements though, creating a surprisingly natural drum sound for Lechner in the process. The drums on many contemporary extreme metal records sound computerized to a fault. On ‘Codex Omega’, you can actually hear that a person is hitting them. Hard. Look no further than the intro to ‘Dark Art’ for proof. Quite simply, the songwriting had a bit of a boost as well. ‘Our Church, Below The Sea’ could have easily been a dime a dozen extreme symphonic metal song, but the way the two guitar parts are interwoven creates an almost baroque guitar pattern. Opening track ‘Dante’s Inferno’ toys with expectations of tempo in a really powerful way, best expressed in the start-stop riff that occurs repeatedly throughout the song, while ‘The Gospels Of Fear’ is composed in an almost lineair way that makes it feel like it is coming over you in waves. Closing track ‘Trinity’ is a masterpiece due to its relatively simple, yet extremely powerful rhythms and its effective use of dynamics and acoustic instruments, which lend an almost gothic-like feel to the track. 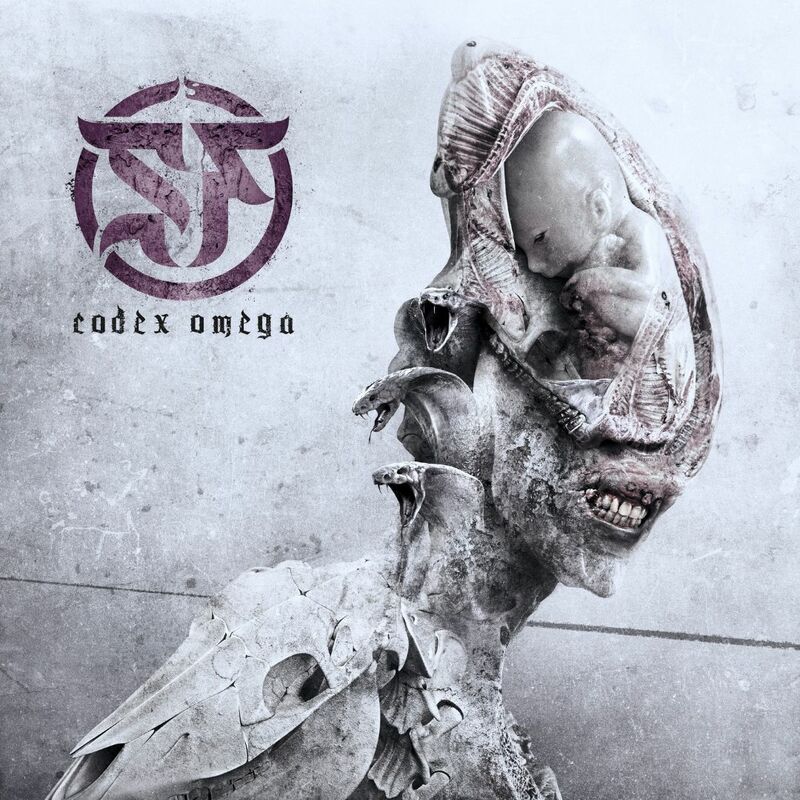 ‘Codex Omega’ is the album on which Septicflesh finally makes use of its full potential. While the excellent work by the choir and the FILMharmonic Orchestra of Prague add an irresistible layer of bombast to the music, the album would not have worked nearly as good if the basic compositions were an less good than this. Even the most standard extreme metal riffs have been arranged in a way that it sounds just a little different. Easily the best death metal album released this year, symphonic or not. Adagio has always been a band I should love, but didn’t. Kevin Codfert’s orchestrations are amazing, Stéphan Forté is one of the few highly skilled guitarists that found a middle ground between virtuosity and melodicism and none of their past singers was worse than good. Yet, something was missing for me. Initially, this was the case with their new album ‘Life’ – their first in no less than eight years – as well. Forté’s djenty rhythm guitar that occasionally pops up was a bit of a turn-off for me. And yet, ‘Life’ has slowly grown to be one of my favorite albums of the year. Part of the reason for my returning interest was the presence of singer Kelly Sundown Carpenter, whose huge, raw-edged range never ceases to amaze me. Still, this may just be his best performance yet. His voice is extremely spirited and he frequently reminds me of late Gotthard frontman Steve Lee in his best days. Even a great vocal performance would not be relevant if the songs aren’t any good though and luckily, the French band succeeded at writing a highly dynamic and pleasantly polished record, on which Forté’s violent riffs and Codfert’s orchestral grandeur are constantly in perfect balance. One of the most notable differences with the band’s past is that the tempo of the songs on ‘Life’ is considerably lower. And while an album full of mid-tempo songs may sound discouraging to the power metal audience: don’t let it. The subdued tempo of the songs allows Carpenter’s vocals and the ethnic, often Middle-Eastern flavor of the orchestrations to flourish, resulting in bombastic masterpieces, such as the cinematic ‘Subrahmanya’, more traditionally progressive moments such as ‘The Grand Spirit Voyage’ and ‘The Ladder’ and the massive, epic grandiosity of the lengthy opener that carries the same title as the album. Remarkably, Adagio chose to place the more accessible material on the latter half of the album. That was probably beneficial to the album, as it has a very pleasant flow. Songs like the dramatic ‘I’ll Possess You’ and ‘Secluded Within Myself’ and the almost uptempo, yet equally dark closer ‘Torn’ are no less good than the songs opening the album though. The only near-miss is the ballad ‘Trippin’ Away’. The first half of the song and the performances by both Forté and Carpenter are too good to completely dismiss it, but while I don’t doubt Forté’s sincerity, the lyrics of this love song are too mawkish and awkward to enjoy. The rest of the album is really good at worst and downright incredible at best. 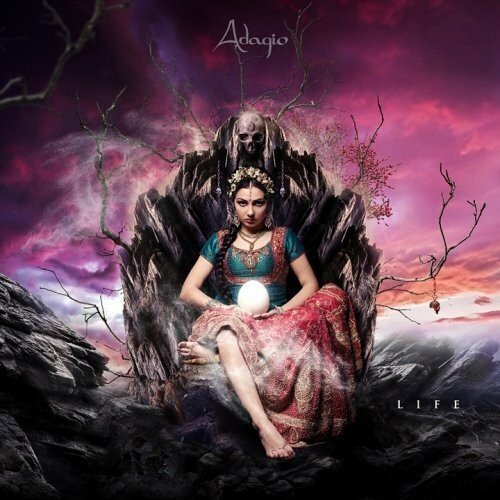 On ‘Life’, Adagio shows that it is perfectly possible to have everyone playing on top of their game without actually getting in the way of the music and that in itself already makes the album a great success. For me, this is the first time Adagio really profits from all the qualities within the band. And that has resulted in quite a unique sound; I have never heard these elements combined in a way even remotely close to how ‘Life’ sounds. A must for fans of progressive or orchestral metal. Less than an hour before writing this post, word had reached me that former Nevermore and Sanctuary singer Warrel Dane has died in the middle of the recordings for what was to be his second solo album. Since Dane was one of the biggest influences on how I used to sing – if not the biggest – this news came as a shock to me, despite his history of health issues and addictions. Ever since hearing his voice on Nevermore’s ‘Dead Heart In A Dead World’, I was grabbed by his sense of drama and the operatic nature of his voice. It was an inspirational experience. Many acquaintances of mine claim that they would have liked Nevermore if they had a grunter instead of a clean vocalist, but Dane was a significant part of Nevermore’s charm for me. Without him, Nevermore would have been just another technical groove metal band with a remarkably good guitarist. Due to the voice of Dane, Nevermore became the band that brought traditional metal and more contemporary sounds together. I have lost track of how many times I have listened to ‘Dead Heart In A Dead World’ and ‘This Godless Endeavor’, but it is likely that it will be more than a thousand times each. Originally, Dane was the type of singer that so many metal bands in the eighties had, only even higher. His rise to prominence was Sanctuary’s Dave Mustaine produced debut album ‘Refuge Denied’, on which he occasionally went so high that I suspected helium may have been involved. Despite his obvious skills, it was apparently too much for Dane as well, as he sings significantly lower on the album’s follow-up, the delightfully dark near-masterpiece ‘Into The Mirror Black’. After Sanctuary folded the way many eighties metal bands did – a silent break-up after disagreements over musical direction after grunge took over the guitar landscape – Dane formed Nevermore with Sanctuary’s bassist Jim Sheppard and live guitarist Jeff Loomis. Nevermore was notably different. Slower, down-tuned and more technical. A dark, heavy band that outdid the grunge of their shared native of Seattle in terms of sheer cynicism and dreariness. With a highly skilled guitar player, an extremely passionate singer and bass drums that pounded like there was no tomorrow. Nearly a decade ago, Dane released his first solo album ‘Praises To The War Machine’, which I at the time described as Nevermore light with a larger number of introspective moments. Though it lacked the consistency of Nevermore’s best works, I loved the album’s goth-ish feel – its cover of ‘Lucretia, My Reflection’ introduced me to the music of The Sisters Of Mercy – and personal themes. The ballads ‘Brother’ and ‘This Old Man’ still stand as the best ballads Dane has ever recorded for me, together with the title track of Nevermore’s ‘Dreaming Neon Black’. Of course, criticism of Dane is justified. He didn’t always take proper care of his voice and his live performances varied wildly in quality. I have seen Nevermore live at least four times and he was only truly good at half of them. The last time I saw Dane perform was two and a half years ago when a reformed Sanctuary opened for OverKill in Zwolle, promoting their excellent comeback record ‘The Year The Sun Died’. There, he actually showed that he could work with his diminished range, resulting in a good, if somewhat restrained performance. Ultimately, I will always remember Warrel Dane for how unashamedly emotional his vocal performance was in a time when tough guy posturing seemed to be the norm in contemporary metal. He left behind a legacy of excellent metal. I’m just sad that this is it. Initially, Fates Warning’s twelfth studio album ‘Theories Of Flight’ failed to excite me the way its predecessor ‘Darkness In A Different Light’ did. I dismissed it as the prog metal giants trying to repeat the same formula. Then suddenly, it clicked. And I realized that ‘Theories Of Flight’ is one of Fates Warning’s best albums thus far. Yes, it roughly follows a similar formula as ‘Darkness…’ did, but Fates Warning succeeds at blending their traditional progressive metal roots with contemporary prog rock elements in the vein of Porcupine Tree and Tool and more catchy moments better than ever here. The guitar work of sole remaining original member Jim Matheos are an important part of the aforementioned formula. It is incredibly varied. Within the same song, it often flows from traditional heavy metal riffs to typical prog chops and atmospheric clean strums in a very fluent and pleasant manner. It would be unreasonable to ignore the contributions of Bobby Jarzombek though. While his predecessor Mark Zonder was an incredible drummer in his own right, Jarzombek plays with a comparable level of technicality, just with a style that feels somewhat looser and more driving than Zonder’s. A very solid foundation for compositions that often feel fluid. Progressive metal has a bit of a bad rap for lacking a focus on songwriting. Enter Fates Warning. Even in their early days, they combined hooks and recognizable melodies with all the odd meters and unpredictable compositions you could wish for. Virtuosity does take a back seat on most of their albums and ‘Theories Of Flight’ is no exception. Sure, there are some great leads to be found here – remarkably, the majority recorded by former guitarist Frank Aresti and live guitarist Mike Abdow – but Matheos mainly seems interested in using his guitar for dependable melodic work. Fortunately, this approach works very well. At time incredibly so. ‘SOS’, for instance, is a highly dynamic track with lots of fantastic twists, but its incredible chorus – performed expertly by Ray Alder – is the highlight of the song. Opening track ‘From The Rooftops’ feels like a bit of a mini-suite and as such, it is the most traditionally progressive song on the album, while ‘White Flag’ is so metallic that it would not have sounded out of place on one of the band’s late eighties records. The 10 minute songs ‘The Light And Shade Of Things’ and ‘The Ghosts Of Home’ are not crammed full of ideas, but instead given room to slowly develop into multi-faceted, atmospheric masterpieces with multiple mood changes. Very impressive. And as if the fact that ‘Theories Of Flight’ does not have a single weak moment wasn’t yet enough, Jens Bogren’s fantastic production makes the listening experience even more pleasant. Sonically, the album is as far away from the overly compressed standard for contemporary prog metal releases as it gets. ‘Theories Of Flight’ sounds organic and lively, even giving the extremely effective bass work of Joey Vera the space it deserves without becoming intrusive. This album is what happens if you put a group of incredible musicians who only care about having the music sound as good as it possibly can in one studio. Absolutely essential for fans of progressive music. Dream Theater is often accused of favoring a display of musical virtuosity over songwriting and lacking in the quality control department. All true, but when they are good, they are really good, which is what makes them one of the flagships of progressive metal. Despite experimenting with conceptual pieces since their debut album, it took them until the late nineties to come up with a full-blown concept album. And whether it is a result of its conceptual nature or not, it would take them close to another decade before they released another album as consistently good as ‘Metropolis Pt. 2: Scenes From A Memory’. ‘Scenes From A Memory’ is such an enjoyable listen, because it avoids most of the pitfalls that many modern progressive bands imitating Dream Theater – and sometimes the Americans themselves – suffer from. Especially the overly compressed production with the genre is nowhere to be found. Both sonically and in the songwriting department, the album is dynamic and organic, making listening through the entire album a particularly pleasant experience. There are never any solos that get in the way of the songs. If anything, John Petrucci’s solo is what saves the particularly sappy ballad ‘The Spirit Carries On’. When I first heard the album in my early teens, I did not get it. It was too complex for me and I thought some songs needed too much time to get to the point. In those days, ‘Beyond This Life’ was the only song that made some impact on me through its deceptively simple, crushing main riff in 5/4 and its general dark atmosphere. While I still love that song to this day, the brooding, almost doomy ‘Home’ is easily the most moving song on ‘Scenes From A Memory’. The dark, downtempo riffs have a vaguely Middle-Eastern flair that really enhances the tension in this part of the story. Instrumental track ‘The Dance Of Eternity’ is a fan favorite and it is not difficult to hear why, as it really puts the musical skills of Petrucci, drummer Mike Portnoy, bassist John Myung and then new keyboard player Jordan Rudess to the fore, not unlike ‘Overture 1928’. Personally, I am quite fond of ‘One Last Time’, which it morphs into. It is easily the best of the album’s more introspective moments, because it has a distinct early Genesis vibe; the inspiration of ‘Broadway Melody of 1974’ is quite obvious. ‘Strange Deja Vu’ and ‘Fatal Tragedy’ are nice, dynamic tracks that interestingly feature equal measures of progressive rock and metal. The ballads are a matter of taste. Whether or not you will like them depends largely on how much you like James LaBrie’s dramatic delivery, though it is worth noting that ‘Finally Free’ surpasses ‘Through Her Eyes’ and ‘The Spirit Carries On’ in sheer dynamism and atmosphere. As a whole, ‘Metropolis Pt. 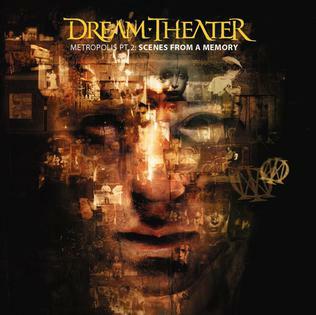 2: Scenes From A Memory’ is an album that has a really pleasant flow, which is never outshone by the musicianship. Concept albums can certainly be a bit of a slippery slope, but Dream Theater’s progressive music seems to be tailor-made for the situation and it has resulted in one of their more consistent outings thus far.